Laboratory researchers face a major R&D challenge with antibiotic-resistant bacteria, but new technology means that heat profiles in cells can be examined accurately and fast, resulting in more effective treatment, says Magnus Jansson. Most development of antibiotic-resistant compounds has followed the traditional Pasteur-style microbiology approach – predominantly involving culturing, plating and manual operation. There are three fundamental problems with molecular-based, non-culture methods, which invariably rely on DNA typing or proteomics: they are costly, have low specificity and cannot differentiate between living, dead, and highly persistent dormant bacteria. What is needed is a sensitive, label-free, cell-based assay able to measure bacterial activity in real time with minimal effort. And now advanced technology means calorimetry could be the answer. Calorimetry measures the power produced in a cell culture at a specific time in Joules/second (W). The heat generated is a measure of the metabolic processes in the cells and therefore gives a true phenotype fingerprint of the organism measured. In the past calorimetry-based monitoring of living systems became unpopular because it was considered too complex an approach. However, the pressing need to tackle antibiotic resistance and advances in technology mean the accuracy of the data it generates is suited to the development of novel antibiotics. Calorimetry can test bacterial infections accurately and fast – enabling decisions to be made about whether an antibiotic should be used in the patient, the type of antibiotic to use and the choice of therapy to apply. Different bacteria and treatments create unique heat profiles that reveal information about the system being tested. Calorimetry provides a label-free, non-destructive measurement, making post-experimental analysis possible, while being independent of sample morphology. This means that assays can be performed both on bacteria in solution as well as on solid media, including three-dimensional matrices, such as surgical and dental implant materials and bone biopsies. One of the unique properties of calorimetry-based metabolic monitoring of bacterial growth is that the pattern of energy expenditure is species, and strain, specific. Over time, each bacterium gives rise to a particular growth pattern as heat production. This can be used to quantify the number of bacteria, and to determine the species. The bacterial load determination is similar to a quantitative polymerase chain reaction (PCR) measurement, in which the curves are identical in shape, but different numbers of cycles are needed to reach the detection limit. Furthermore, different loads of bacteria require a varying number of cell divisions to reach the detection limit concerned. The metabolic output assay therefore becomes quantitative as well as qualitative. Minor changes in growth behaviour, such as metabolic pathway mutations, are detected, as are biofilm formation and, most significantly, antimicrobial sensitivity. Through integrating the metabolic power over time to accumulated heat over time (in Joules), a growth curve is established equivalent to a traditional growth curve (as measured by optical density of the cell culture). From this data, it is possible to calculate both the lag time and the maximum growth rate of the culture concerned. This forms the basis for determining the effect of antibiotic treatment. A prolonged lag phase is indicative of a bactericidal action, since the starting number of live bacteria will be less, and a decrease in growth rate will suggest a bacteriostatic effect. The starting number of bacteria will not change, but the cell division time will increase. This data can be used to qualify the mechanism of action, based on the inhibiting properties and the curve shape, compared to substances with known mechanisms of action. Dose-response curves, plotting dose against lag time and dose against maximal growth rate, are easy to derive from the data. Furthermore, the total energy release for a given time frame, plotted against concentration, is a measure of the total biomass formation and can be used as a measurement of antibacterial efficiency. One important consideration is a compound’s bioavailability. 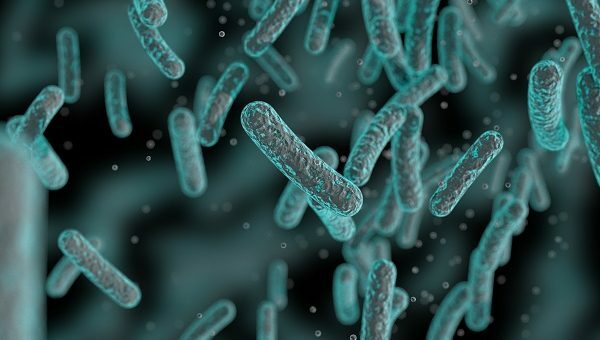 Since the calorimetric measurement is a measure of the total metabolism, bioavailability to the bacterium p is a non-issue since it is accounted for in the measurement. Compare this to culturing assays on solid media, where the diffusion of compound in the media can lead to measurement errors. The formation of biofilms can also be a concern in the potency measurements of antibiotics, since the efficacy of antibiotics differs between planktonic and biofilm growth. Biofilm formation can be monitored by calorimetry due to the fact that the metabolic status and the treatment efficacy are clearly different. Colonisation in complex matrices, like bone, can be difficult to assay. ‘Normal’ assays cannot provide a representative sample of bacteria colonising three-dimensional surfaces. Consequently, large deviations may be found when using microscopy, and molecular, fluorescence and microscopy methods. The heat produced by bacterial metabolism in 3D matrices can be measured regardless of the sample properties, enabling new areas of investigation. With the calorimetry approach, the bacterial growth assay can be performed in both liquid and solid media. This enables different properties to be studied during the colonisation of surgical and dental implant materials, for example. A wide range of possible growth conditions enables the study of both aerobic and difficult-to-grow anaerobic systems, as well as the monitoring of tuberculosis and other slow-growing mycobacteria. Correct quantification of the number of cells, as well as the number of living cells, can be challenging in antibiotic development. As many bacteria give rise to clustered cells, biofilms, and so on, misrepresentation when using standard plating/growth analysis is likely. A single colony may originate from a cluster of living bacteria, thus giving false numbers for efficacy. Calorimeter-based assays account only for the actual number of metabolic active, live cells. This also has implications for the comparison to DNA or protein-based assays, where there can be difficulty distinguishing between the number of live active cells and DNA/protein remaining in inactive/dead cells protected by biofilm. It is easy to monitor the metabolic activity for prolonged times using calorimetry; a typical assay will run from just a few hours up to days or weeks, if required. This allows for the monitoring of persister cells or cells derived with antibiotic resistance from biofilm formation. These cells produce metabolic activity at a lower, but constant, rate over a prolonged time and can be distinguished in the assay. Up to 80% of all infections are complicated by bacteria forming biofilms, and antibiotics typically developed using bacteria in planktonic growth may be largely ineffective for treating biofilm-derived infections. The possible degradation and instability of tested compounds can allow regrowth of persister cells; this can be monitored easily by following the total metabolic state of the culture over time. Potentiating treatments are being used more regularly so that antibiotic efficacy can be increased. The use of potentiating compounds with no inherent antibiotic properties and multiple modes of action of combined therapies can be monitored using a calorimetric assay. Unbiased phenotype screening is achieved, since there is no need to know the mechanism of action prior to the experiment. Efficient screening of lead compounds and dose response measurements, performing calorimetric assays in a microplate format is being made possible with new technologies using small sample volumes and multiple parallel channels to increase throughput, and pre-sterilised, single-use consumables ideal for bacterial growth. Calorimetry offers a ground-breaking approach to monitor the spread of resistant strains effectively. It is cost-effective, rapid and sensitive. The ability to identify the presence of an infecting agent, and to determine the correct antibiotic treatment in hours instead of days, is possible through combining detection with an indication-based panel of antibiotics. 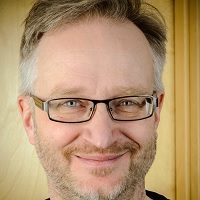 Magnus Jansson is chief scientific officer at Symcel Sveridge. He joined Symcel in 2009 and is responsible for technology and applications development. He has worked in the biotechnology and pharmaceutical development industry for 25 years and holds a PhD in bio-chemistry and protein engineering from the Royal Institute of Technology, Stockholm. Dr Jansson has extensive experience in gene cloning, recombinant protein production, target discovery research, bioinformatics, assay development, protein structure determination and biophysical characterisation.